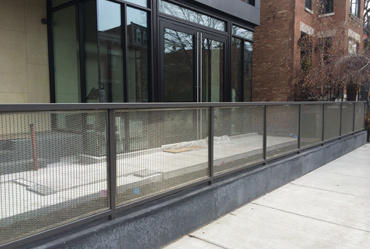 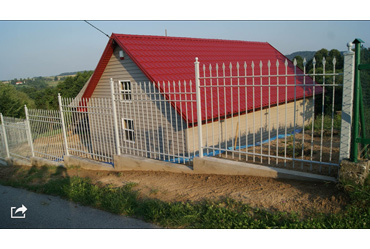 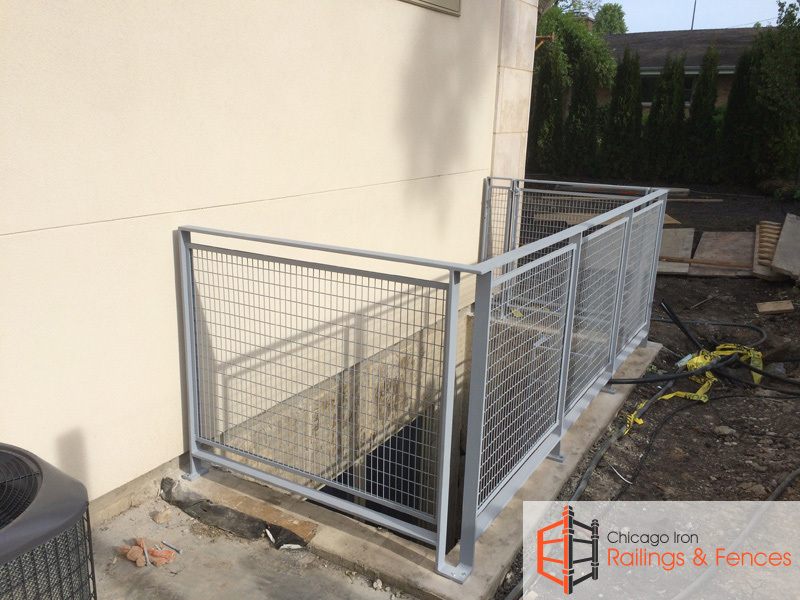 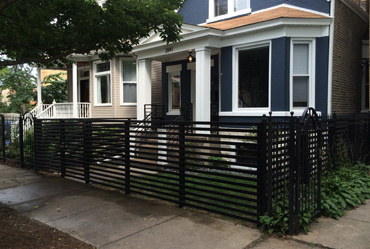 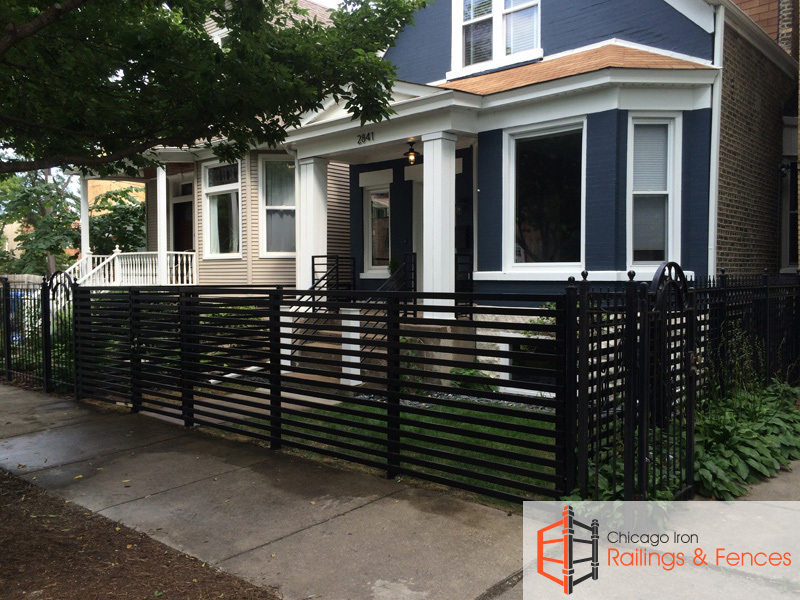 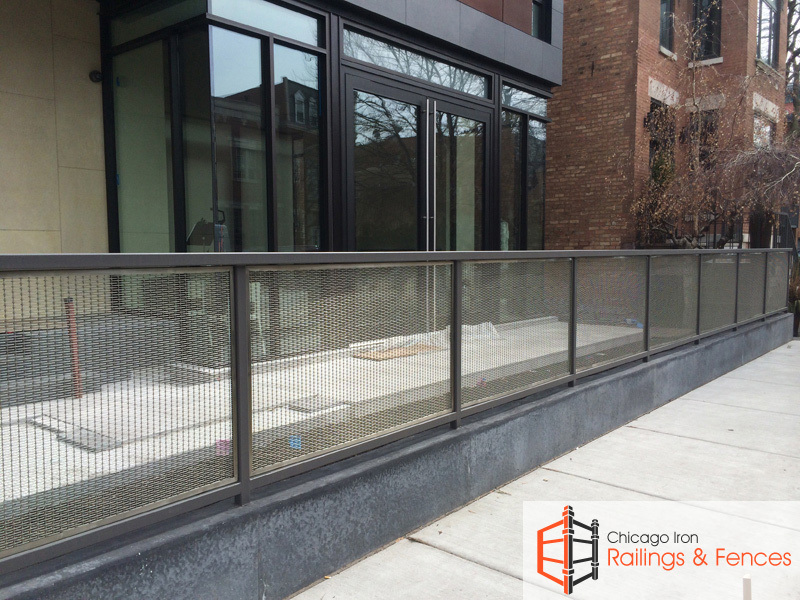 Chicago Railings and Fences provides the best experience in Chicago for iron fence installation. 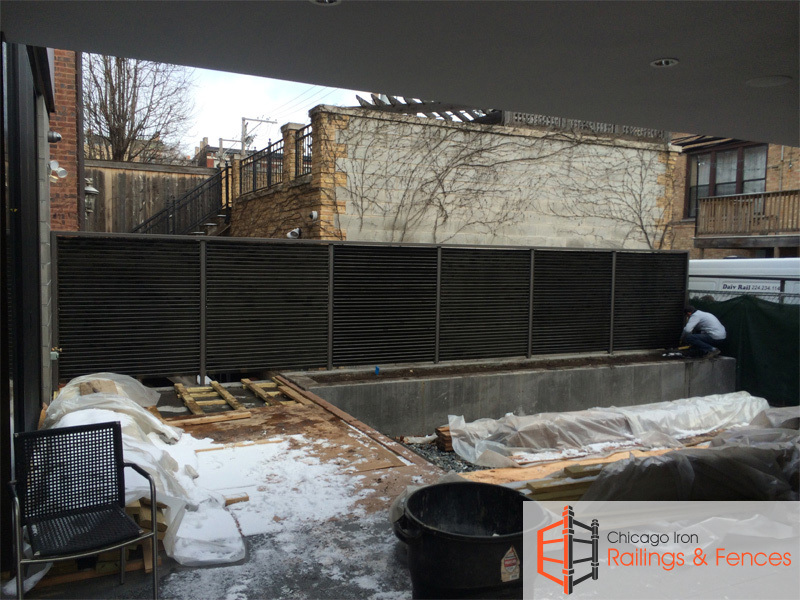 Our blacksmiths working in two fabrication shops in Chicago can create a fence basing on your sketches. 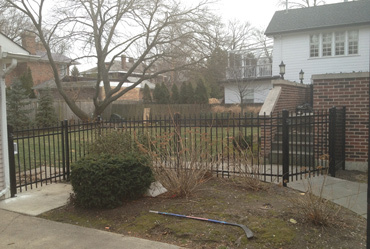 We provide onsite fence project planning assistance. 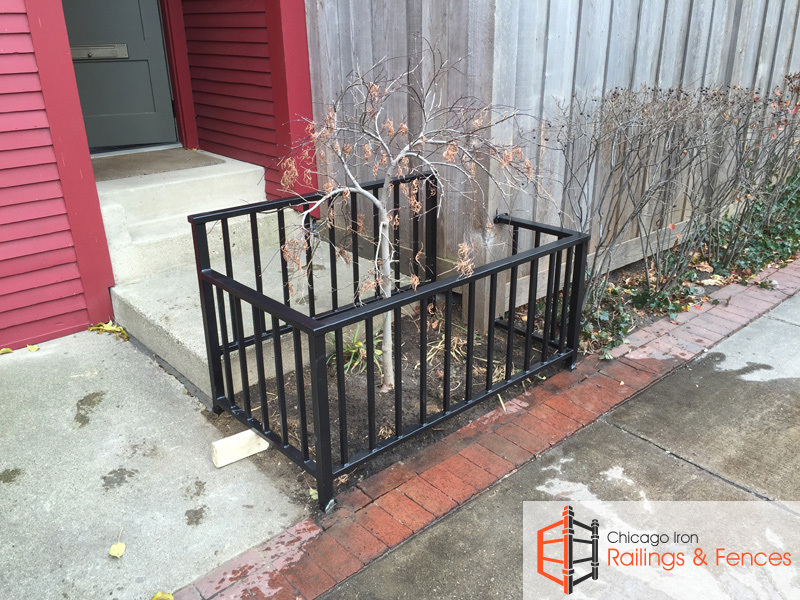 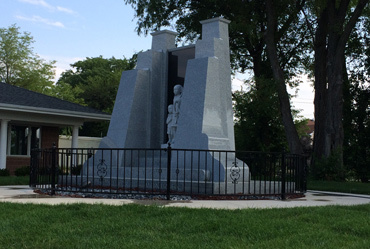 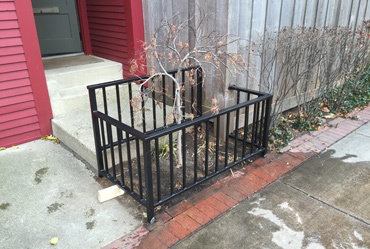 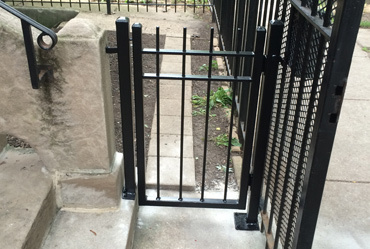 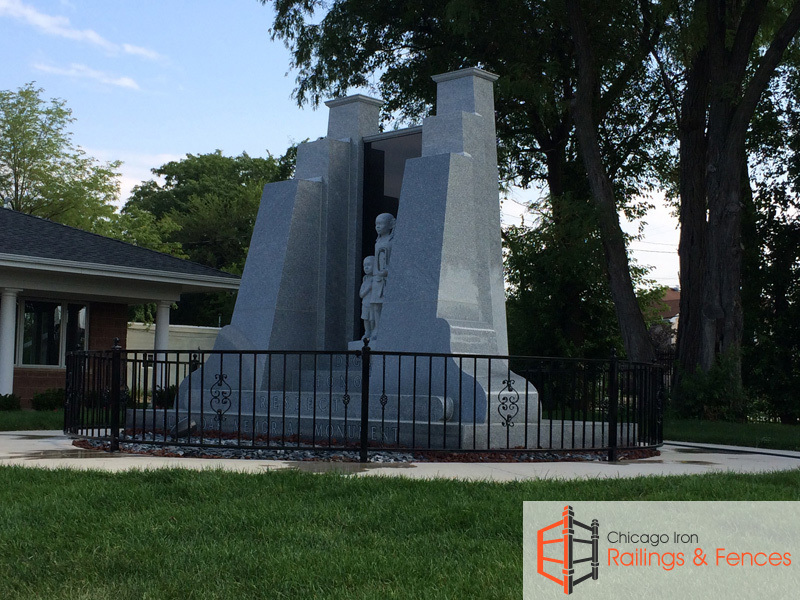 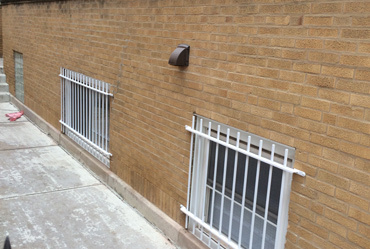 Our ornamental fence iron works can be seen Chicago's Old Town, Lincoln Park and Gold Coast. 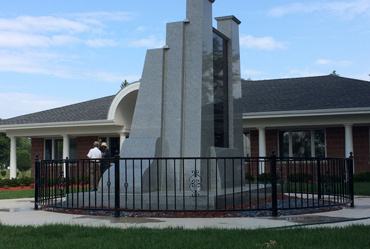 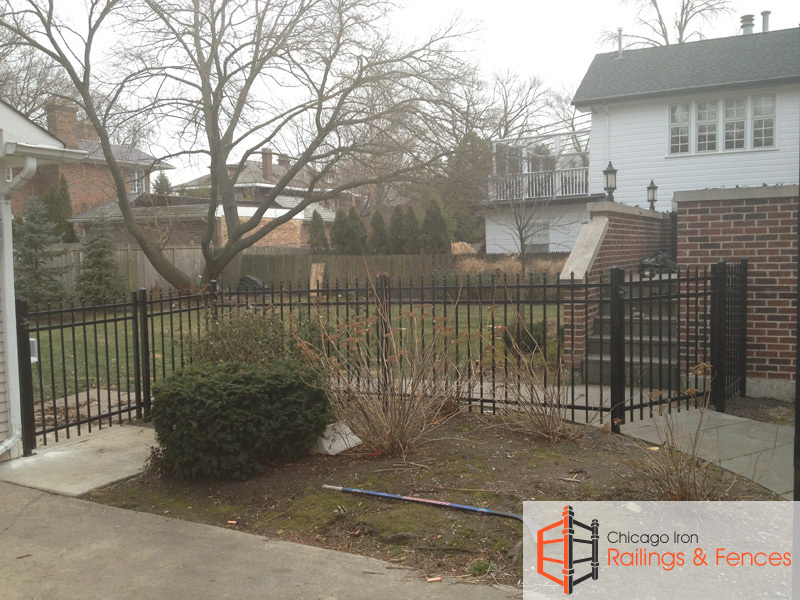 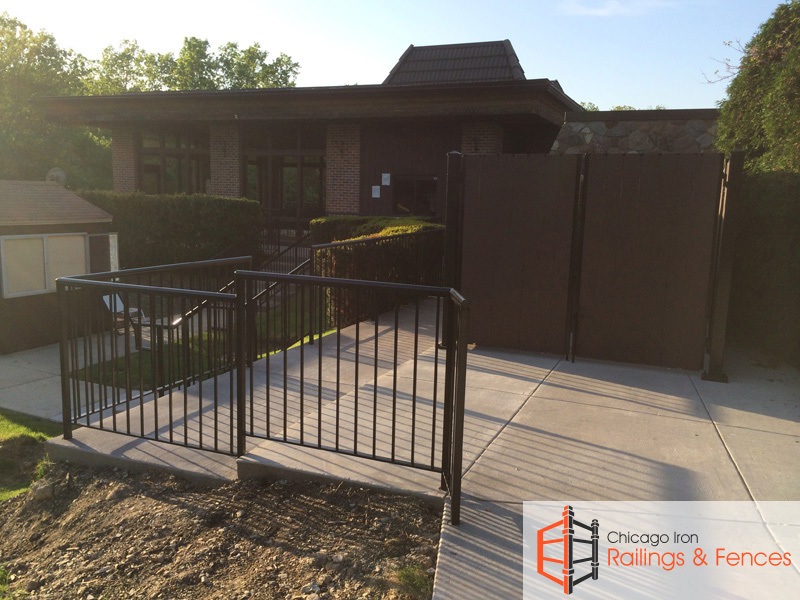 For over 30 years we provided the best experience for iron fence creation in Chicago. 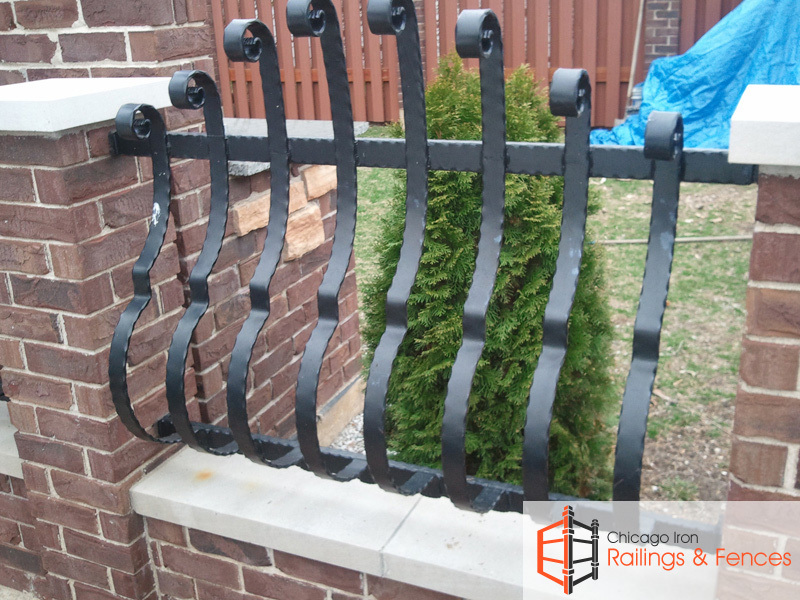 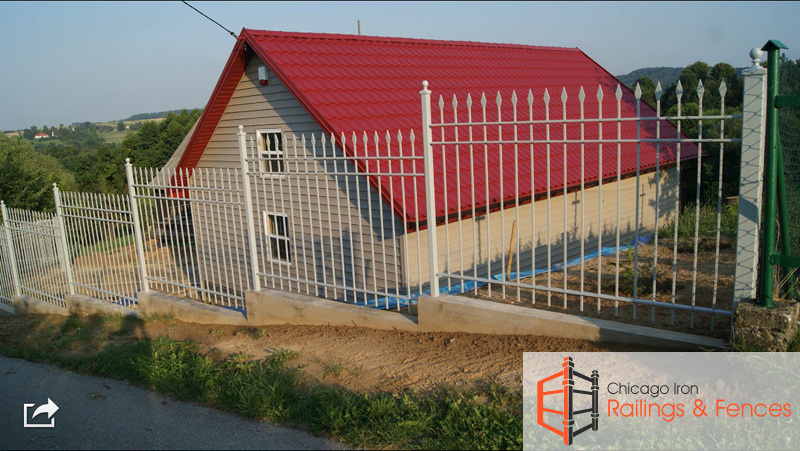 We can hand forge a fence from flat iron in any shape or we can weld a modern fence from all new modern looking fence elements to accomodate for your fence project ! 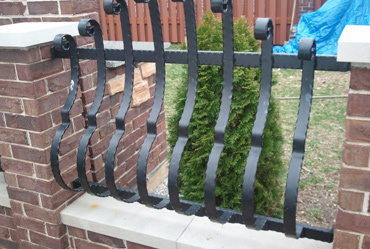 Call our skilled blacksmiths and welders for your next iron or metal fence project. 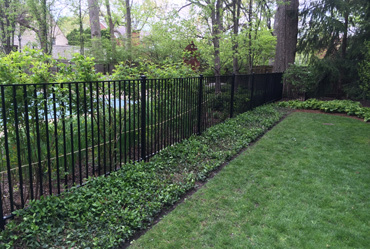 Right from the time you provide our master artisans with a sketch of the fence you would like to surround your property with, we will be the one wrought iron fence Chicago company that can make that vision a reality for your home or business. 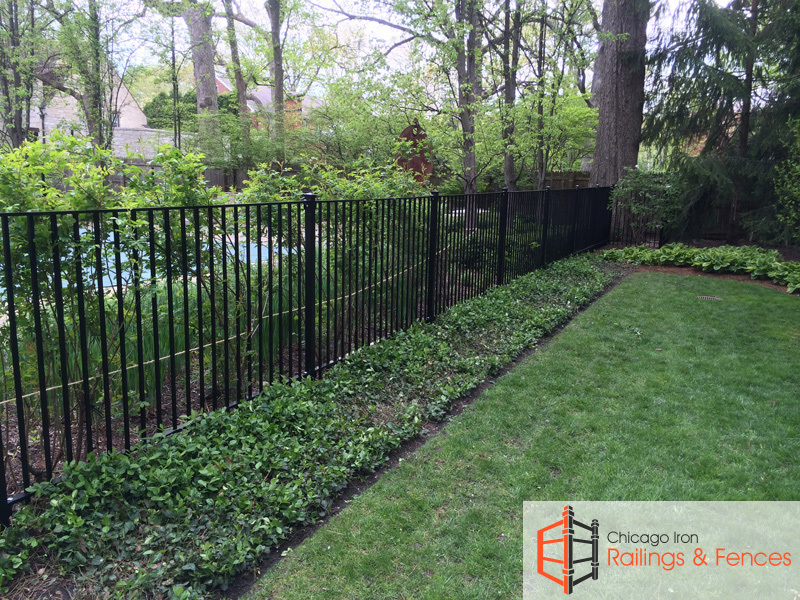 If you have in mind a really decorative style, we can also produce Chicago wrought iron ornamental fence work that will make your property the talk of the neighborhood. 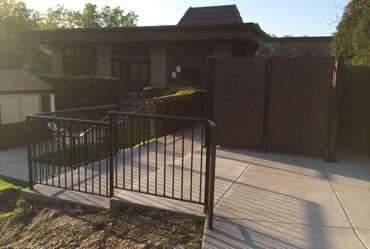 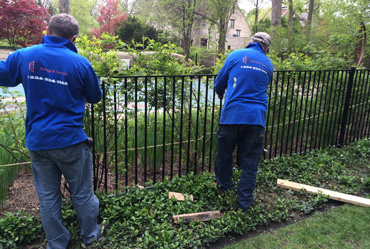 Our craftsmen will dedicate themselves to producing the finest product, our customer service reps will deliver the most professional attention, and finally you will have the wrought iron fence installation Chicago and its suburbs have come to expect from the region's best, Chicago Railings and Fences. 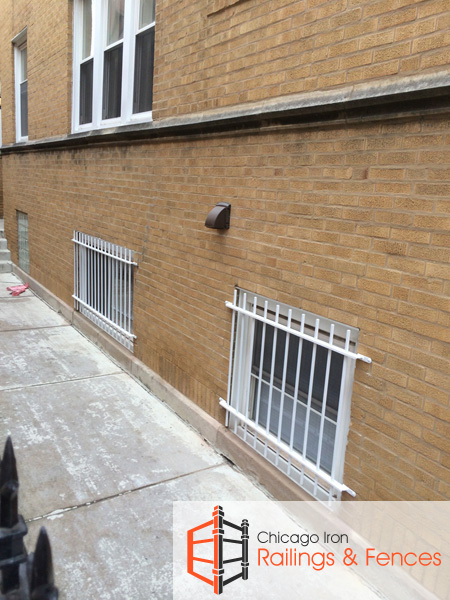 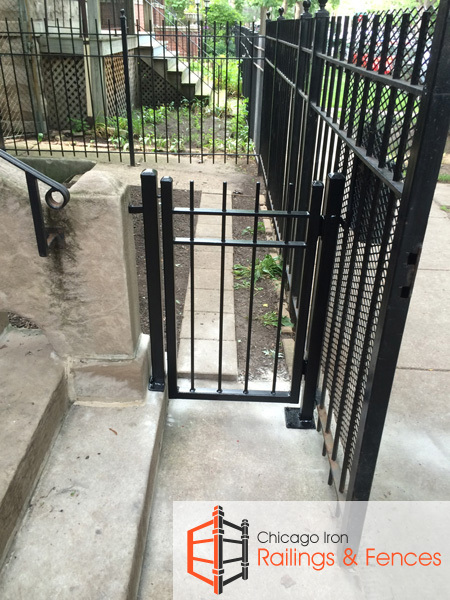 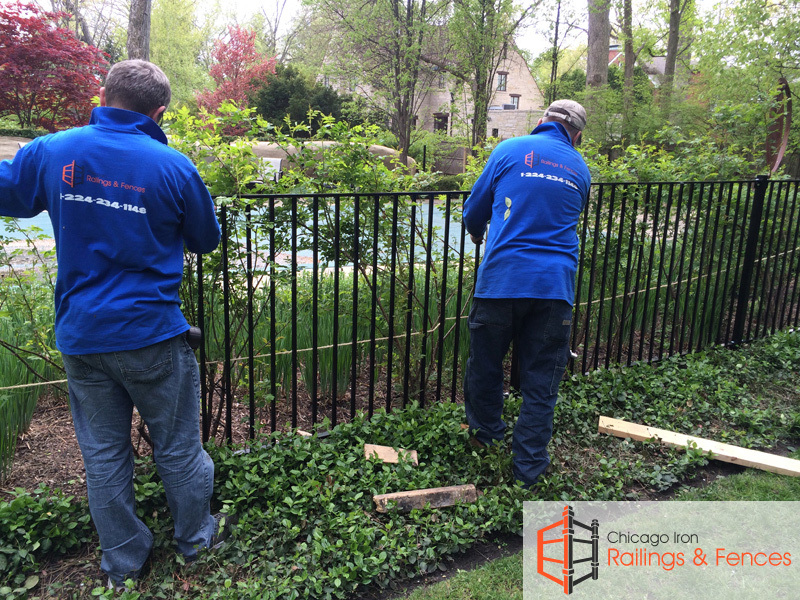 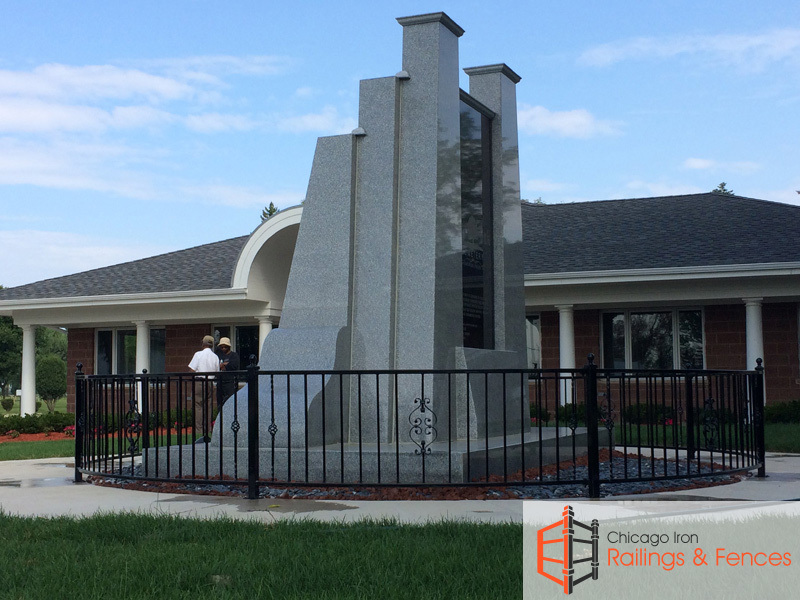 Should you ever need a Chicago iron fence repair contractor, our servicemen handle that just as expertly as new installations. 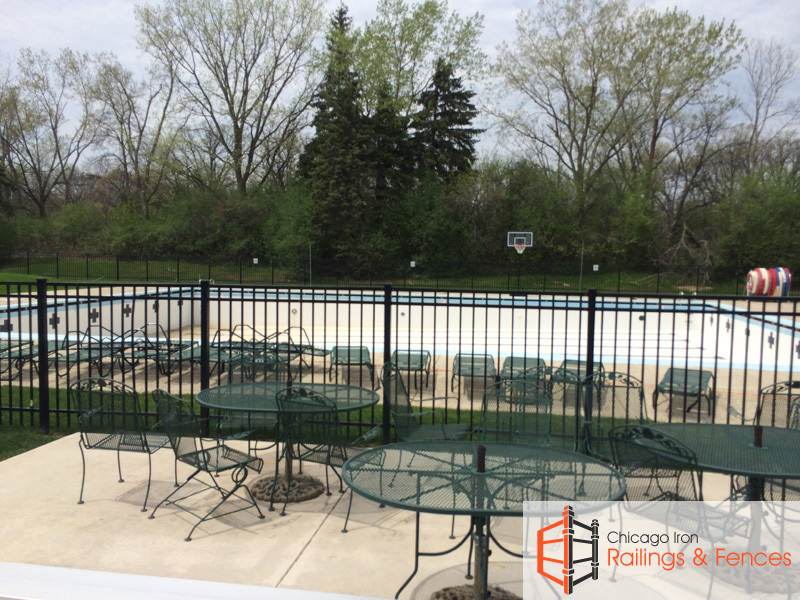 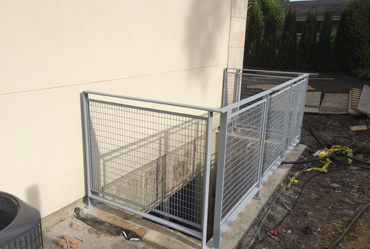 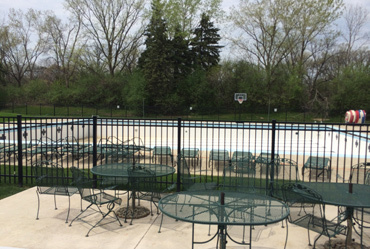 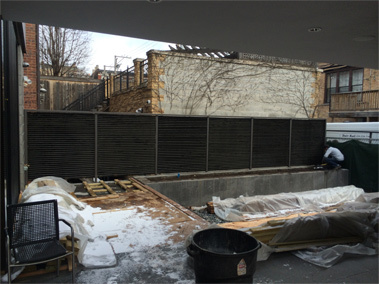 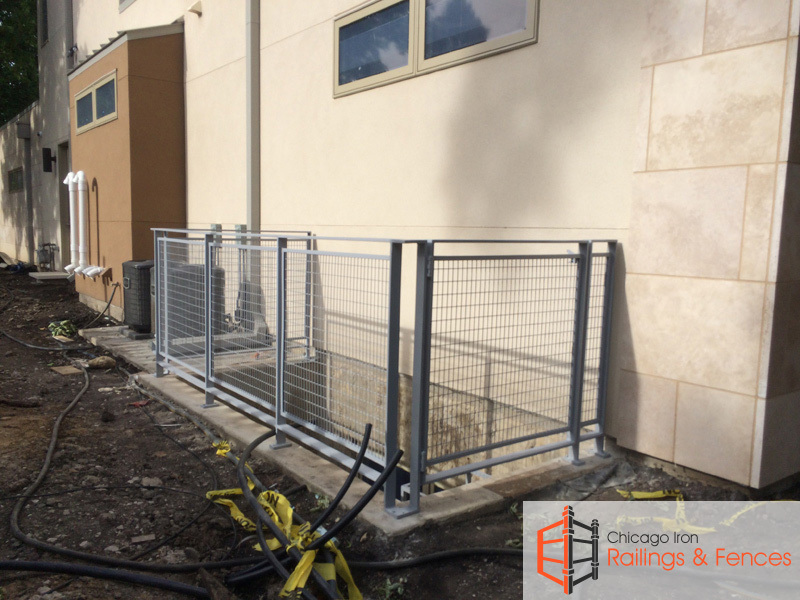 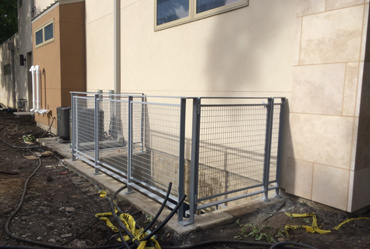 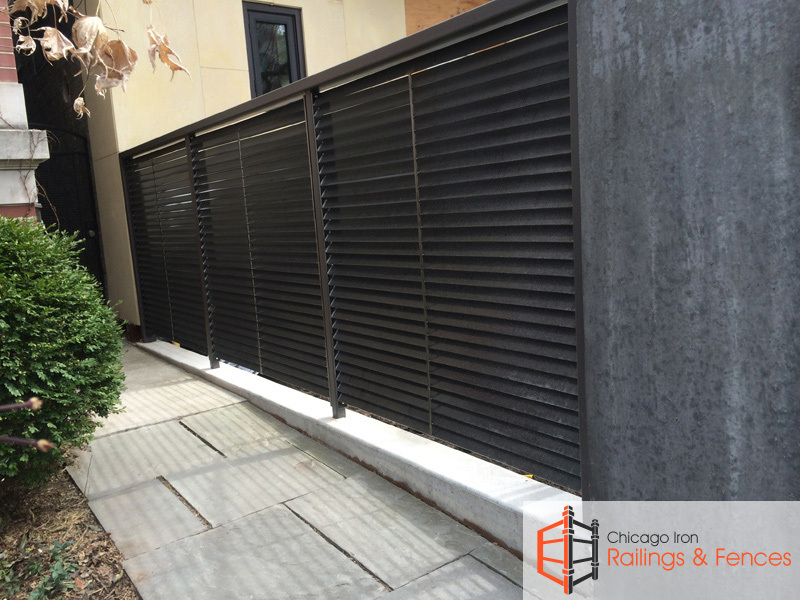 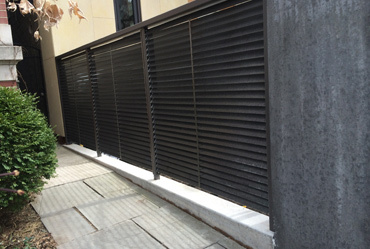 For other kinds of metal fences, we are the Chicago aluminum fence contractor to consult, and if you like the appeal of natural wood or contemporary vinyl, we are the Chicago fencing company that can provide the best of those products, and we are the Chicago fencing contractor who can do the best installation.